An amazing recipe book is your companion for life. You’re transformed from a novice into someone who is confident enough to cook a potluck dinner or invite friends for lunch. Good cookery books teach you to make unfamiliar dishes from an entirely new cuisine and give it your own unique touch. Favourite and popular dishes are then passed on to friends and relatives. Thai food is much loved across the globe. This cuisine is a remarkable blend of eastern and western techniques, but with a distinct Siamese touch. But replicating these dishes require patience and knowledge of this regional food. This guide brings you some of the best Thai cookbooks that will help you create delicious, ethnic food at home. This book reflects years of research by the Australian chef. He provides information on all aspects of Thai food along with numerous ancient, classic, and modern recipes. Panurat adopts a simpler approach but includes recipes from the four regions of Thailand. You receive a valuable history lesson even as you browse the pages. This Thailand-based author provides authentic recipes written in both Thai and English. The recipe book removes the guesswork out of cooking food. This cookbook helps you make tasty sauces and pastes at home along with delectable recipes A useful addition for beginners. The 100 popular recipes in this cookery book are aimed at both amateurs and competent cooks. Thera is also a glossary on commonly used ingredients, sauces and seasonings. If you want to experience everyday street food enjoyed by Thai people, buy this book. You can easily recreate these dishes that include some mouth-watering desserts. This book explores regional flavours of Thailand with over 100 authentic recipes. New cooks can learn traditional Thai cooking methods. While this book has fewer recipes (around 30), the author’s enthusiasm and detailed explanation of techniques and ingredients will make you fall in love with Thai food. For seafood lovers, she has come out with a Thai-inspired collection, Dancing Shrimp. One of the earliest books to introduce Thai cooking to a western audience, it contains over 140 recipes tried and tested recipes gathered from local Thai cooks. The chef and restaurant owner brings you over 230 recipes from all over the country. You’ll also find instructions on vegetable and fruit carvings and menu suggestions. If you love good food and are interested in history, background, and basic principles of Thai cooking, you’ll enjoy this cookery book. Start with the before you begin section, which teaches you about Thai ingredients and methods. 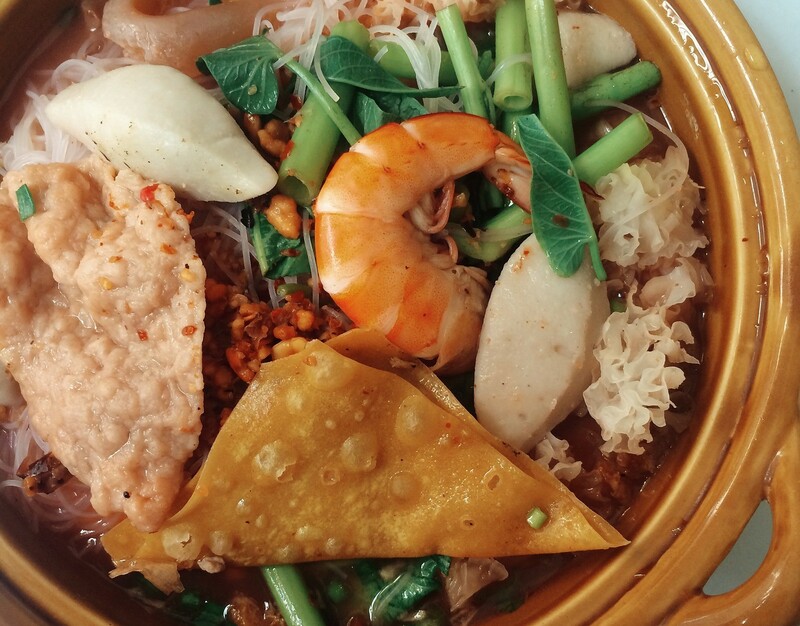 Then explore easy-to-make street foods from different parts of Thailand. If you interested in Northern Thai cuisine and original cooking methods used by Thai home cooks, this is the book for you. This book is from a popular Thai chef and covers recipes from his restaurant in Hawaii along with culinary information on Thai cooking. Renowned chef and teacher, Su-Mei helps you master the art of Thai cooking. From shopping guides to actual cooking processes, she covers it all, including how to crack a coconut. The author brings you a whopping number of recipes (500 to be precise) with his definitive guide on Thai Cuisine. You’ll find usual suspects along with dishes not known outside the country. If you’re looking for a book that blends take-outs with home food, grab a copy of this book with 100 economical and delicious restaurant-style recipes. This popular teacher and author from London brings you healthy Thai recipes ranging from salads and soups to mains and sides. Chef Boetz has adapted 100 recipes from his Thai restaurant for the modern home cook. The book also includes a section on cocktail recipes from his bar. This books comes to the aid of busy cooks looking for quick meals from the Thai staple. Most of the 100 recipes use easily available Thai ingredients and are ready in 30 minutes. Cooking instructor, Chat brings you delicious Thai recipes made with precise measurements and tested by students. A must buy for vegetarian cooks and foodies. Which of these books are part of your Thai food collection? Do you have any other book suggestions for our readers? [TOKYO] Lunch class : Learn how to make Ramen and Gyoza at home!